Fix iPhone issues such as stucking in recovery mode, DFU mode, white Apple logo, etc. without data loss. Fully compatible with iOS 12 and iPhone XS. iSkysoft Toolbox - Repair (iOS) is the best iOS system recovery software, which fixes almost all iOS system problems. No matter your iPhone/iPad is stuck on Apple logo, stuck in Recovery/DFU mode, it helps you get your iPhone/iPad back to normal instantly. iPhone is stuck in Recovery Mode/DFU Mode. Restore iPhone without data loss. If your iPhone won't start/turn on, try iSkysoft iOS system recovery to boot it again. Fix iPhone stuck on Appe logo screen and won't turn on past the Apple logo. Slide to Unlock/Slide to Upgrade does not work and is unresponsive. iPhone black screen happens a lot, especially during iOS firmware update. Fix iPhone white screen with this best iOS system recovery tool instantly. Fix iPhone/iPad when it has an frozen screen, and not responding at all. iPhone/iPad just restarts itself during the boot process again and again. It’s the easiest iOS system recovery solution to fix iPhone, iPad and iPod touch system problems. 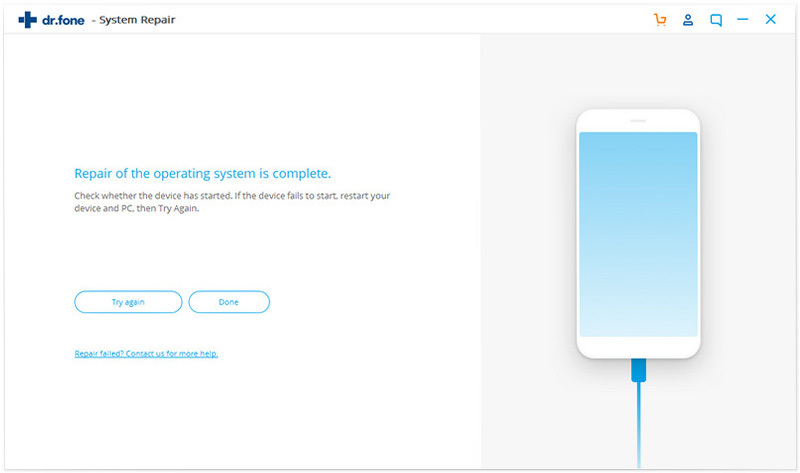 You just need to connect your iOS device, and follow the instruction in the software and click. In a few clicks clicks, your iPhone will restart and work properly again. It doesn’t require you any extra computer technique at all. 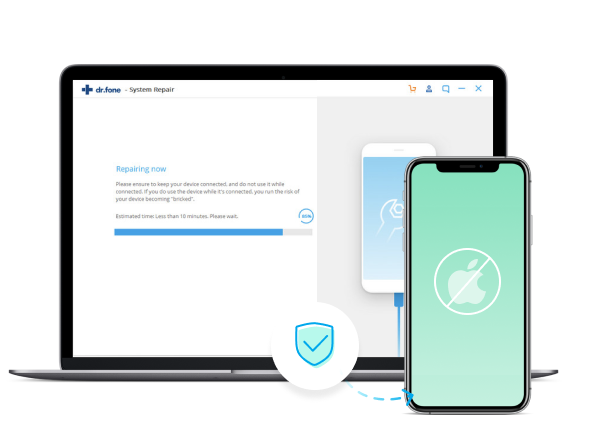 Compared with other ways and tools to fix iOS system problems, iSkysoft iOS system recovery never puts your iPhone, iPad, and iPod touch into any data loss risks. 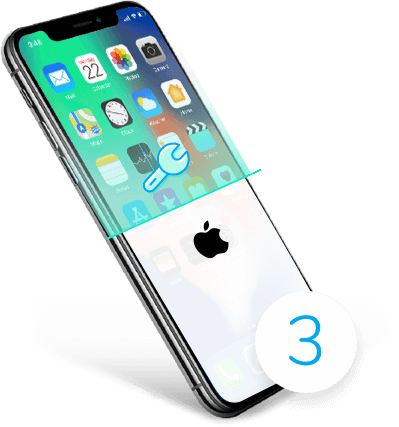 With simple clicks, you’ll get your iPhone, iPad and iPod touch out of recovery mode, DFU mode, Apple logo loop, and more fast. Step 1: Launch iSkysoft Toolbox and select Repair. Connect iPhone to computer. 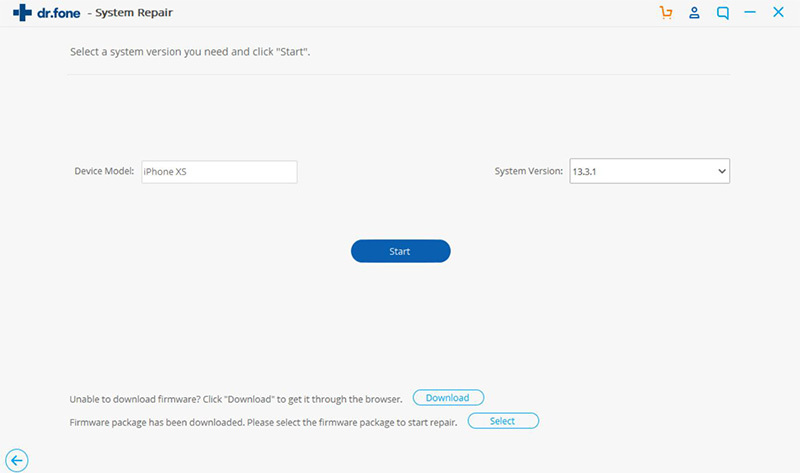 Step 2: Select the correct iPhone firmware information to download the firmware. Step 3: Sit back and wait for your iPhone restarting. 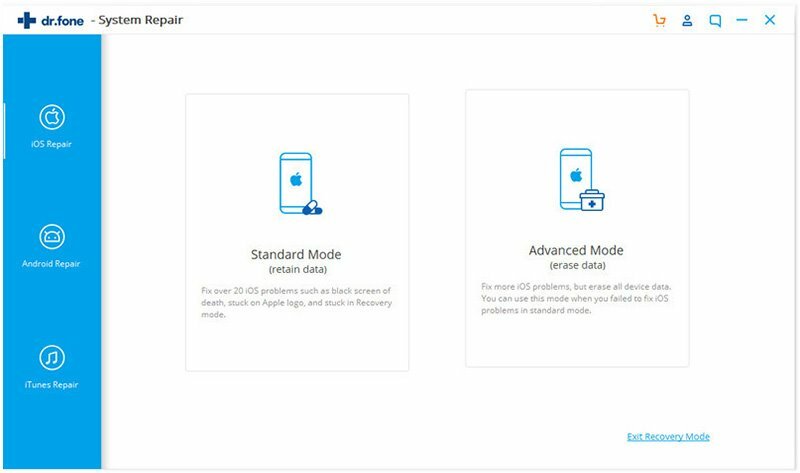 iSkysoft iOS system recovery supports to fix system issues for all iPhone/iPad models, including iPhone XS, iPhone XS Max, iPhone XR, iPhone X, iPhone 8 Plus, iPhone 8, iPhone 7 Plus, iPhone 7, iPad Pro, iPad Air, iPad mini, iPad, etc.